Where do you go after releasing three awesome albums in a row? Do you stick with what brought you to the forefront and risk being labeled as generic or repetitive? Or do you take an even bigger risk and tweak your sound? Well, this question is pretty irrelevant when the band you're in happens to be Bolt Thrower. "The IVth Crusade" isn't a departure from their normal sound, in fact you could say they took a step back. The band's previous full-length "War Master" saw them at their most savage since "In Battle There Is No Law!" and it also saw the band lose that doomy guitar tone. 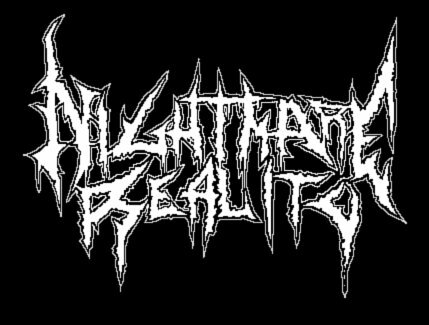 On this record, however, that sound returns and so does the crushing mid-paced massacre that was found on "Realm of Chaos." One of the main reasons that "War Master" was such a flawless album was because of the drums. The double bass pedals resembled heavy artillery machine guns and added a lot of heaviness and speed. On this record, the drums aren't as much of a stand-out, but there are still plenty of great fills that add to the overall heaviness of "The IVth Crusade." Karl Willets' trend of heavy vocals continues here and I can't think of a better vocalist for this war-themed troop. The solos are also great and much like the ones on "War Master" they stray away from the Slayer worship and fit the music beautifully. It's little things like this that add to the epic sound on this record. Remember people, it's the little things that matter. 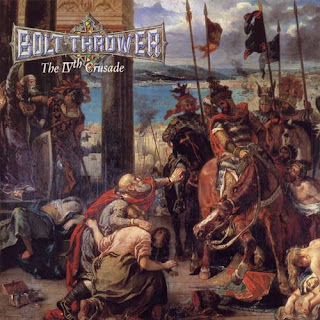 As mentioned earlier, this is Bolt Thrower's most epic album yet. The songs are all relatively longer, heavier and more doomy. Just listen to the intros on the title track and "This Time It's War." Extremely heavy powerchords with some melodic tendencies always fit the mold for an epic feel. The doom elements also appear later on in some songs like "Spearhead" and "Celestial Sanctuary." But Bolt Thrower never overdoes it with the slower parts and they always manage to keep the listener interested by mixing in assortments of death metal style tremolo bursts or headbang-friendly mid-maced riffs. Once again, Bolt Thrower provides us with another masterpiece and continues to prove why they are the greatest death metal band to ever grace this earth. While this album may not be as strong as it's predecessor, there is no reason why anyone who's enjoyed the band's previous work can't enjoy this one.